In a bid to facilitate the government’s plan to increase coal production to 908 million tonnes by 2019-20, the Environment Assessment Committee (EAC) has consented to a proposal of Coal India Limited (CIL) to avoid public hearings in the process of getting environment clearance (EC) for coal project-expansions. The decision will enable fast-tracking decision on environmental clearance for coal projects seeking a capacity expansion of 40 per cent. The EAC is an expert body that gives recommendations to the Ministry of Environment, Forest and Climate Change (MoEF&CC) on matters of project clearance. The entity evaluates proposals for fresh EC as well as projects seeking expansion and/or modernisation. All such activities are required to take a prior EC, before commencing activities as per requirements of the Environmental Impact Assessment (EIA) Notification, 2006. At a meeting held on July 25, the EAC approved a long-pending proposal made by CIL seeking exemption from public hearing when ECs are sought for coal projects seeking a capacity expansion of 50 per cent. The EAC, after deliberations, exempted companies from having to go through public hearing for capacity expansion up to 40 per cent. The exemption comes with certain conditions: the increase would be allowed in 2-3 phases; the projects seeking exemption should comply with EC conditions as provided earlier and they should meet the environmental pollution standards. When contacted, the EAC members clarified that they will only consider 15-18 per cent production increase in each phase. The request for exemption first came up in July, 2015 during a meeting held between the then environment minister and the Coal Ministry. CIL at that time made a request to allow them to increase the production capacity by 50 per cent without public hearing to meet the government’s coal production commitment of 908 million tonnes. CIL had also mentioned that to meet that production demand, an additional 212 projects will require EC and 154 projects will need forest clearance, clearly making a case for fast tracking clearances. On July 15, 2015, EAC took up the issue. At that time it disapproved such blanket permission and expressed concern over increase in pollution and impact on livelihood of local communities that such exemption may have. However, nearly one and half years later, in January 2017, the EAC started revising its position. While reconsidering such proposals for expansion without public hearing, the EAC suggested that this can happen following a third-party assessment of baseline environmental conditions and possible socio-economic and other impacts of the project. It also suggested that this can be undertaken by the National Environmental Engineering Research Institute (NEERI) or any other expert agency identified by the ministry. Following this, in February 2017, the secretary of coal ministry and environment ministry had a discussion on the issue and requested the EAC to consider the public hearing exemption. The EAC said that an exemption can be granted when certain conditions are met: air quality is within prescribed limits, mine-lease area does not expand, compliance of EC conditions is found to be satisfactory and other pollution abatement measures are followed. Finally, the EAC agreed to it in July, stipulating these conditions. As the most apparent consequence, the recent decision of the EAC will defeat the very essence of public hearing as required by the law. “Doing away with public hearing requirement will seriously undermine the EIA notification in letter and spirit,” says Chandra Bhushan, Deputy Director General at the Centre for Science and Environment, a Delhi-based non-profit think tank. Public hearing constitutes an important part of project clearance decisions under the EIA notification. It underscores the significance of community opinion and their concerns about potential impacts of a development project, as much as it notes the role of experts. Bhushan also thinks that relying on compliance reports of EC conditions and meeting environmental standards is problematic. “The regional offices of the MoEF&CC have poor records on checking compliance. Moreover, monitoring of environmental parameters by the state pollution control boards has been extremely problematic. Under these circumstances, it will be difficult to say whether the projects are in compliance or are meeting the standards or not,” he says. Dr Sanjeev Paliwal of Central Pollution Control Board, who is also a member of the EAC, says that the recent decision is in line with such decisions of the government between 2012 and 2014. In all likelihood this will worsen environmental pollution and associated public health conditions. 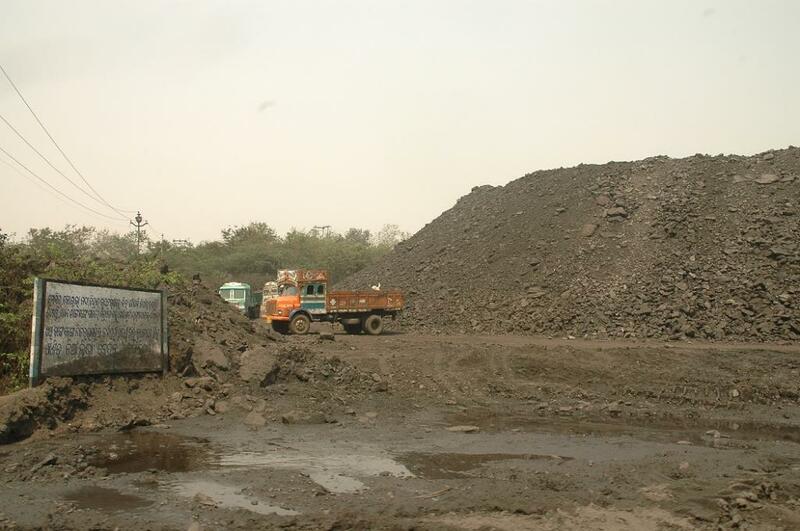 While most of the coalfields are critically polluted, expansion projects continue to happen, including the one in Singrauli of Madhya Pradesh, Chatra district of Jharkhand and Angul-Talcher coalfields of Odisha. The recent move of the EAC will only add to this. “The decisions of the EAC must be reconsidered by members of the expert body, considering their implications on environment and public health,” says Bhushan. The government should also look into this through proper mechanisms. Decisions affecting public at large must be notified by the government. It also remains unclear whether the decision of the EAC benefits only CIL and its subsidiaries or private parties as well. When contacted, none of the EAC members responded to these points.